Another growth feature to help you generate traffic into your Messenger bots! 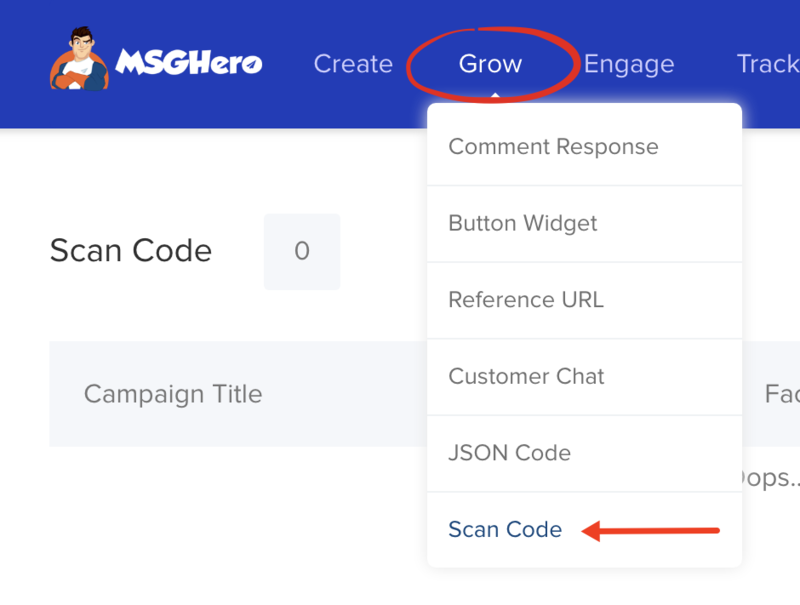 Click on "Grow" in the top menu and select "Scan Code" from the drop-down. Next, click on "+ New Scan Code" button in the top right corner. Select the Facebook page you want to create the campaign for and then name your campaign for personal reference. Click on "Continue" as shown below. You'll be taken to the usual message builder you'll find in all of the other MSGHero campaign types. The big difference is in the left tab as shown below. You will see you can customize the size of your scan code image width (between 100px and 2000px). For a business card, 100px or 200px would be sufficient but if you need it for the front of an eBook for example, a large width would be necessary. Once you have set your image size, click on the "Download Scan Code Image" button above your image preview. This is the scan code image you will share around (and when scanned, will trigger the prospects into the Messenger bot sequence you're about to create). 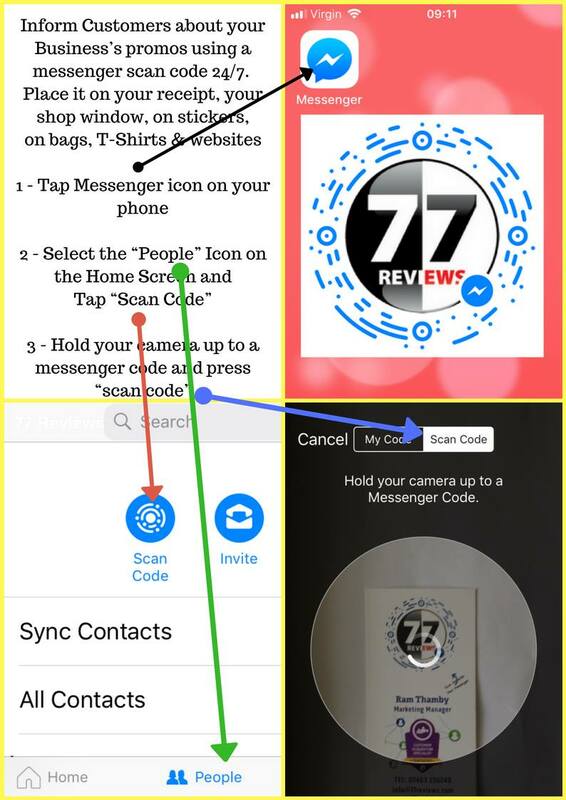 Now, you can continue to set up your Messenger messages as you usually would for this scan code campaign. Anyone who scans your image, will be sent these messages. 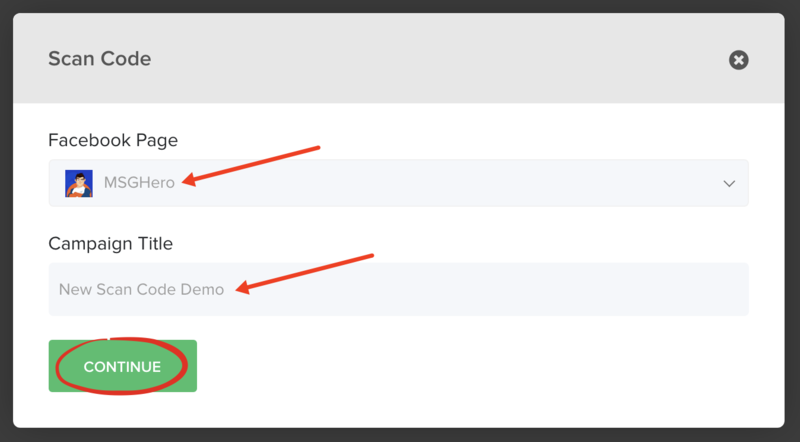 When you've set up your sequence of messages, click on "Publish". Marketing Tip: Use your scan code sequence to introduce yourself/your brand and offer them something valuable upfront. Start your relationship off on the right foot whether it be with a discount or just a helpful video! Once you've created a scan (QR) code campaign as described above, you can share your scan code image anywhere! There aren't really any limits here! Step 1: Go to their "Messenger" app on their mobile device. Step 2: Click on the "People" tab at the bottom. Step 3: Click on the "Scan Code" menu option at the top. Step 4: Scan the image. When they successfully scan the image, they will be triggered into your Messenger bot you have set up for this specific scan (QR) code! 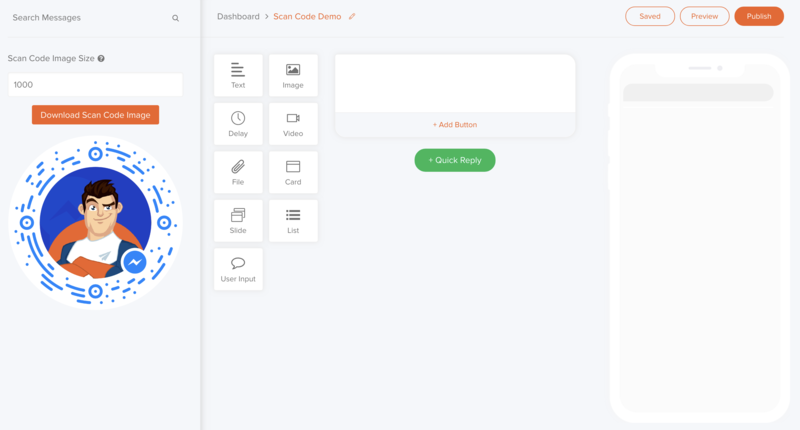 This means they will be shown the "Get Started" window for your bot (as shown below) and when they click "Get Started" they will be sent your Messenger bot messages. 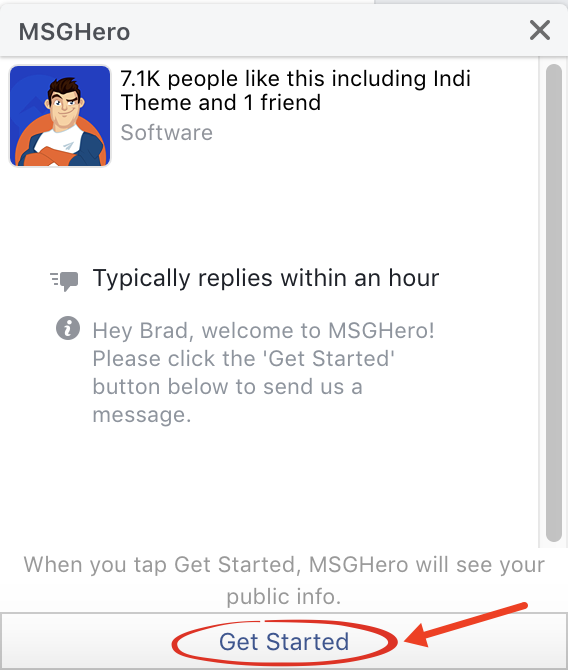 Important note: If they have an existing conversation thread open with your Facebook page, they won't need to click "Get Started" and they'll be sent the messages immediately upon scanning the code.